Use this decorative Lacassie three-piece table and floor lamp set to upgrade any living space. Including two table lamps and one floor lamp, this Lacassie three-piece set designed by All the Rages works as a great way to improve any space. The brushed steel finish highlights each lamp with elegant character. The fabric shade atop each lamp is added to reinforce the decorative look and feel of this set. Each table lamp: 27" high. Shade is 13" across the top x 13" across the bottom x 10 1/4" high. 16" high from base to bottom of shade. Base is 5" wide x 5" deep. 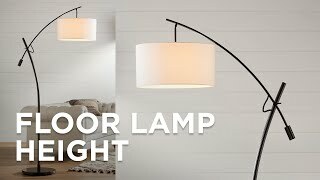 Floor lamp: 60" high. Shade is 13" across the top x 13" across the bottom x 10 1/4" high. Base is 7 1/2" wide x 7 1/2" deep. 49 1/4" high from base to bottom of shade. Each lamp takes one maximum 150 watt standard base type A bulb (not included). Lacassie three-piece table and floor lamp set designed by All the Rages. Set includes two table lamps and one floor lamp. Brushed steel finish; metal construction. Push pin switch for floor lamp. 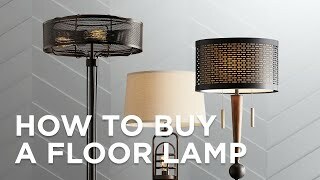 Can I just purchase the two table lamps? BEST ANSWER: Hi - I am sorry, this is only priced and sold as a three piece set. 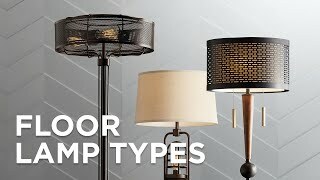 Bring a sophisticated new look to a room with these two bronze table lamps and floor lamp.